Boasting a whole host of dry running, solids handling, automatic self priming up to 8.5m capabilities and the latest N Type Technology, SLD’s Diesel Pump Hire Range is the pump range of choice for a wide variety of temporary and permanent applications. SLD’s High Head Pumps are perfect for any high pressure pumping application requiring movement of any liquid or solid above a 9m height range. 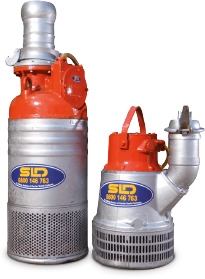 SLD’s Electric Submersible Pumps are ideal for any pumping application requiring a suction height in excess of 9m. 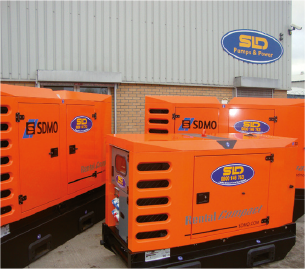 SLD Pumps and Power offers one of the most comprehensive, state of the art, silent generator hire ranges in the industry. Whether it’s providing standard silent generators to the construction and utilities sector, or temporary power packages to the quarry and mining industry, SLD has the knowledge, expertise and experience to guarantee we will provide you with the correct solution for your project. 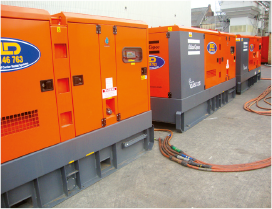 SLD Pumps and Power has many years’ experience providing synchronised generator hire packages and uninterrupted power supply to a wide range of critical applications. 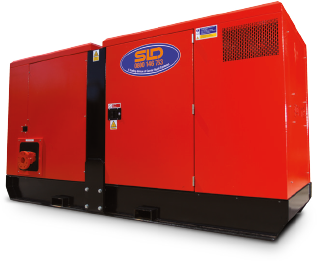 SLD Pumps and Power’s set to set synchronisation packages are ideal for any project requiring two or more generator sets to run in parallel at the same time. 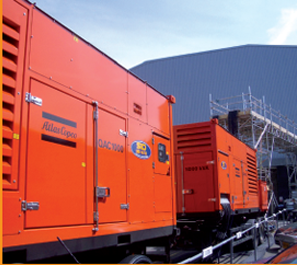 These systems use a method known as isochronous load sharing, which means the project load is proportionally divided across the number of generator sets whilst maintaining a fixed frequency. The benefits to you – a continuous power supply. Should one generator set cut out the second unit will automatically kick in. Set to set synchronisation systems are ideal for event companies and film studios. SLD Pumps and Power is highly experienced in supplying temporary set to main synchronisation packages to the utilities industry. Whether it be synchronising our generator sets to the National Grid, via a regional electricity company for ‘peak lopping / shaving’, providing a ‘no break return system’ during transformer maintenance, or switchgear replacement, SLD will ensure you always have power. SLD Pumps and Power can provide multi megawatt synchronisation packages for any large, temporary power application. 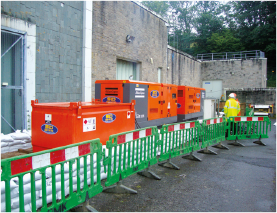 Whether it be supporting a mains electricity supply, also known as ‘peak lopping / shaving’, providing a full, temporary power rental solution for an event, replacing a local electricity supply, or providing temporary power to an industry critical application. Uninterrupted power when you need it, where you need it. 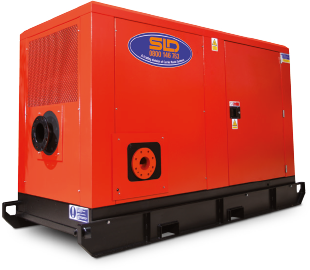 SLD Pumps and Power’s offers a range of refrigerant dehumidifiers that are light yet robust in design, making them the obvious choice for the construction industry and damage recovery companies. They can be used to create the perfect conditions required for the application of plaster, paint, floor coverings and wallpaper by speeding up the drying time and also decrease the amount of damage caused by fire and water. 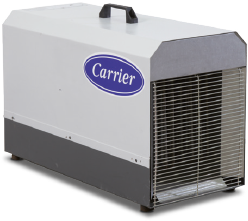 One of the UK’s largest range of rental desiccant dehumidifiers which can be configured to create almost any climate you might require. Whether it is simple, straight forward drying of a small area that is needed, or you require exact temperature and humidity levels, our systems can be customised to fit your needs. 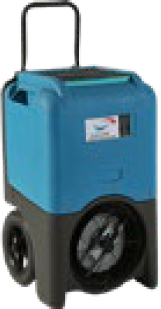 Our industry leading desiccant dehumidifiers range from 100m3 to 8,000m3 an hour. If you can't find exactly the right dehumidifier you are looking for please do not hesitate to contact us directly. 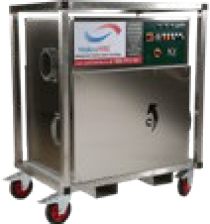 SLD Pumps and Power’s Electric Radiant Heater Hire Range offers some of the simplest, quickest and easiest ways to achieve instant heat. 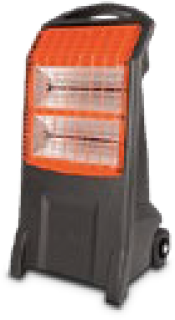 Our Electric Radiant Heater Units are fully portable, easy to use and economical, making them a good choice for all. SLD Pumps and Power’s Electric Fan Heaters are extremely portable and fully self-contained, giving ease of use and minimal installation costs. Our electric fan heaters are powerful and compact. They are double skinned for low outer case temperatures. Additionally some of the units can also be ducted up to 5m. From 3kW to 86kW, SLD Pumps and Powers’ Direct Gas Fired Heater Hire Range has been designed for applications with well-ventilated areas. 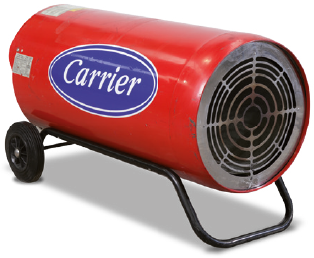 Our direct gas fired heaters are robust and portable, and are perfect to provide instant heat. They have variable heat settings and are dual voltage 110V/240V. 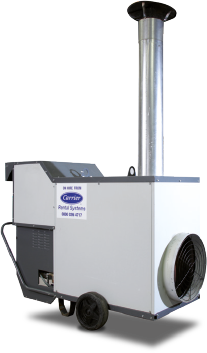 Our Indirect Fired Heater Range offers reliable and efficient heating solutions that can be ducted. We can supply a range of fuel tanks that complement these heaters along with room thermostats to allow better control and efficiency. All of SLD Pumps and Power’s Boilers for hire have been specifically designed and developed for the rental market to offer fast, efficient and reliable hot water solutions. 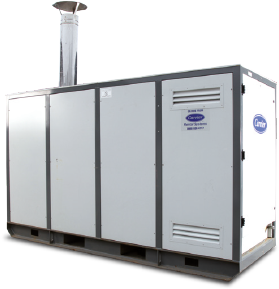 Temporary air heating and hot water systems can be provided on a short or long term rental basis to deal with any application. If you would like any more information on any of our products, please get in touch on 0870 875 4485 or use the form below. Please tick this box if you do not wish to receive information about SLD Pumps and Power and its Latest Offers, Products and Services.